For the last month I've been all about creating felt and fabric for my new sewing book. I spend more time pushing the pedal of my sewing machine than I do driving my car. I'm completely immersed in the stitching zone. When it came time to plan a library event I knew I wanted to share my enthusiasm for plushies with teens and zombies were the perfect way to grab their interest. Coming up with this Zombie pattern was a snap, I folded a piece of loose leaf paper in half and then outlined a large head, short neck, arm and foot. Cut through both layers of paper and unfold, you'll have a perfectly symmetrical pattern. I use this trick whenever I design patterns. Stack two layers of fleece over each other and then pin the pattern ontop of the layered fabric. Cut a quarter inch away from the edge of the pattern, this will be your seam allowance. You've just cut out the front and back of your zombie. Set the pattern aside, re-pin the two fabric layers together to stabilize them while you seam around the outside edge. Leave a two inch opening on the outside of the leg. This is where all the teens started the craft, we had pre cut and pre sewn zombie bodies to this step. Trim away any excess fabric and turn your zombie right side out through the opening. Start feeding Fiberfil stuffing through the opening. It's important to tightly pack the head arms and legs and then cram more into the stomach. The fleece will expand to accommodate the stuffing and tighter fabric is easier to embroider. I passed out sewing needles and a thread for them to hand stitch the openings closed, I was amazed not single person had trouble with this step! I laid out pre-cut circle eyes (thanks to my Sixxiz Big Kick and circle template) and passed out a crewel needle with a full strand of DMC embroidery floss so that they could stitch a face on their zombie. It's a good idea to pass the needle inside the head between the eyes and mouth so that you can use one continuous strand of floss. The most popular mouth design was a single horizontal stitch that gets intersected by a row of three or four vertical stitches. I taught them to tie the ends in a knot under the edges of the felt eyes. I love the creative stitching on the right eye of this zombie! I had a pile of straight fleece strips that we free for the taking, they made great bandages to wrap around the zombie. I wished I'd brought some red paint to make these creations a little more gruesome. Love this craft! I found it when searching for suggestions of how to do zombie plushies for a teen library program - how perfect! Planning to use it this summer to work with the "Own the Night" theme! It's in fact very complex in this full of activity life to listen news on Television, so I just use the web for that purpose, and get the latest information. Fastidious respond in return of this matter with real arguments and explaining the whole thing about that. Very nice post. I just stumbled upon your weblog and wanted to say that I've truly enjoyed browsing your weblog posts. In any case I will be subscribing in your feed and I am hoping you write again very soon! I'd really love to be a part of group where I can get responses from other experienced individuals that share the same interest. If you have any suggestions, please let me know. Many thanks! 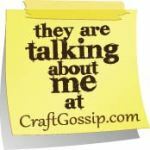 Welcome to my blog, where I share crafty inspiration and the exploits of my creative career. My days are joyously filled juggling the needs of my three busy kids while meeting copy and design deadlines. I love to explore the natural beauty that surrounds our home in the Maine woods. I love questions and Whimsy Kit Wholesale orders! 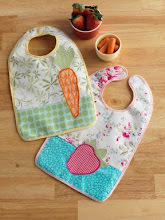 wonderful on line review of Craftcycle at Crafting a Green World. Fabulous review of Wired Beautiful at Bella on line. Recent blog interview with Stitch magazine! Don't worry, be happy! How to make your own Guatemalan worry doll. Please check out my new website here www.heidiboyd.com . Proud to present this fabulous fair with Carrie Sullivan and Maine Street events! Look for our Artsy to come to Brunswick again this fall! All designs, instructions, and photographs on this site belong to Heidi Boyd. Please do not share borrow or publish content from this blog without prior written authorization. I love to read, do you? Has been crafting since she was a toddler and is pleased as punch that she found a way to make a living playing with art materials. My studio space consists of mountains of clear containers each is overflowing with sequins, yarn, beads, feathers, glass, buttons,trims, stamps... anything you can imagine. Whether I'm outside in nature or at a store I observe everything carefully, always trying to figure out of how it's made and how can I remake or redesign it.